Although the Nintendo Switch is home to arguably the best kart racing game ever made (Mario Kart 8 Deluxe), some healthy competition is always welcome. Back on the original PlayStation, Crash Team Racing was considered by many to be a fantastic racing game and now it’s being remastered for current generation consoles. Crash Team Racing Nitro-Fueled will arrive on June 21, 2019 for $39.99. Check out the trailer and official PR below! Crash Team Racing Nitro-Fueled and the Crash Team Racing Nitro-Fueled – Nitros Oxide Edition are available for pre-order starting today. 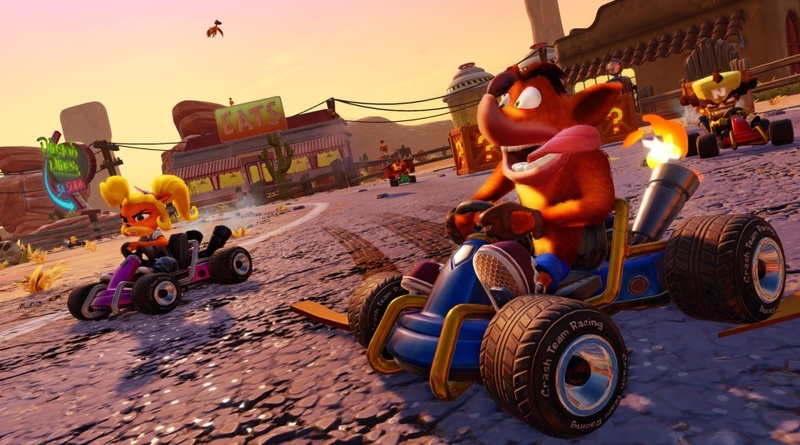 Crash Team Racing Nitro-Fueled will be available for the suggested retail price of $39.99. Crash Team Racing Nitro-Fueled – Nitros Oxide Edition will be available for the suggested retail price of $59.99. More information about Crash Team Racing Nitro-Fueled can be found at www.crashbandicoot.com. Fans are also invited to follow Twitter, Facebook, and Instagram, as well as subscribe to the YouTube channel at YouTube.com/crashbandicoot.